Exceptional Complexsubmitted by Donald O. - Jan 30, 2019 |Recommended: YesThe apartment and complex are gorgeous. We have enjoyed meeting our neighbors. The complex staff have been very professional and accommodating. 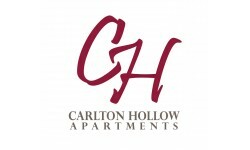 response from property - Feb 07, 2019 Thank you for choosing Carlton Hollow as your new home Donald. We are glad that you and Shirley are part of this community.